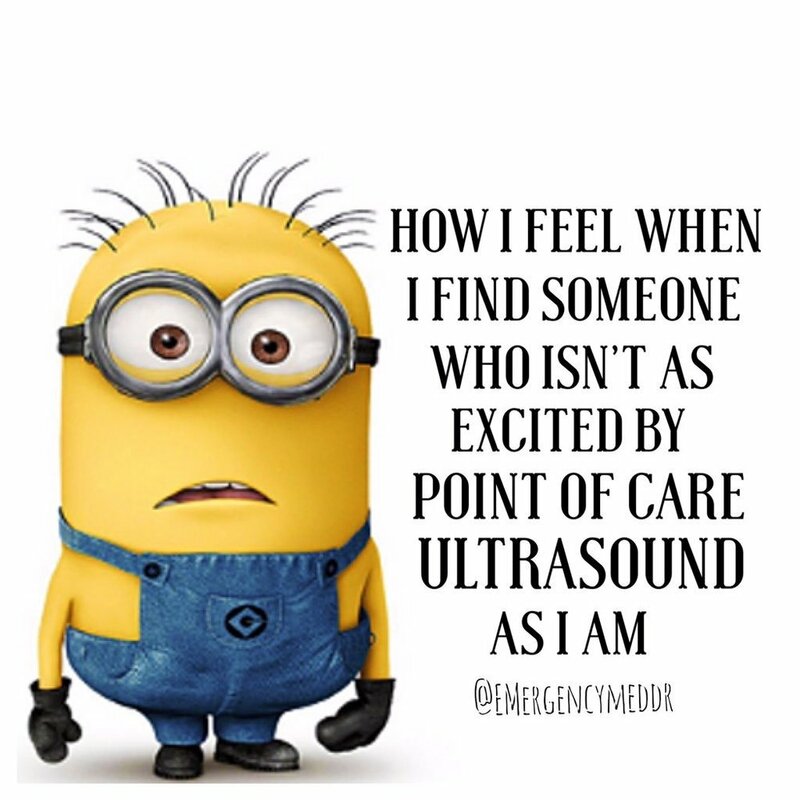 An EBM cautionary tale on using ultrasound in pulse checks from the excellent team at ultrasoundpodcast.com. The advice here I think is relevant to any procedure being performed while other time critical tasks need to be on-going. Having a Resus Team that is empowered to speak up is vital! #FOAMed of the Week: Top Ten Tips for beginners- From Life in the Fast Lane. LITFL have published a great little summary for beginners of how to approach the #FOAMed world. Read it here. Get involved, and get engaged in the continued evolution of medicine and medical education! #FOAMed of the Week: #TRAUMACARE17 via Twitter! The Trauma Care Conference is one of the popular events of the EM conference scene....but someone needs to run the shop floor while everyone else is out on a jolly! Fortunately the #FOAMed universe can bring the real highlights to your phone without you even needing to leave your department......although actually living in an ED is definitely bad for your well-being - not advocating that.....you can read it a home too! The Resus Room and St Emlyns have both published some trauma related updates to help keep us current. A great refresher to get you thinking how you assess patients with mental health problems in the ED. This is core Emergency Medicine, but reviews like this encourage reflection, highlighting where we could improve. This is a great review of the management of Neuro-trauma from EM Docs and is well worth reading if you involved in any multi-trauma patient. We are a group of seven emergency physicians who want to provide a truly current resource for the rapidly developing field of emergency medicine. We subscribe to the free, open-access medical education initiative, and our goal is to inform the global EM community with timely and high yield content about what providers like YOU are seeing and doing everyday in your local ED. It's really easy, we just need to remember to wash our hands, how hard can it be....? Yet we really don't do it as often as we should. Chris Nickson looks at why, and why we should. Hand hygiene is widely regarded as the bedrock for the prevention of healthcare associated infections (HAIs). HAIs are among the biggest killers in modern medicine. Yet, hand hygiene compliance among healthcare workers remains woefully poor. Why can’t we learn the lessons that Semmelweis taught us nearly 150 years ago? If we can’t teach intelligent healthcare workers to wash their hands properly, what hope do we have as medical educators? This is both a patient safety and a medical education priority. Our patients’ lives are at risk and they deserve better. So, how can we change our patient’s microbiological cultures? By changing our culture. For Feb 2017, a NEW....New in EM! Great new format from the @RCEMFOAMed's Andy Neill and Dave McCreary. Looking at sternal fractures in the era of pan scans, Ketorolac, thromboprophylaxis in lower limb injury and GTN bolus for heart failure. The new format is in preparation for a re-organised once per month podcast with multiple segments..... watch THIS space! Great discussion on how Rudeness has developed in Medicine. Be Non-Accustory – errors should be looked at as an opportunity to discuss, learn, and make things better in the future. Theres not a lot of #FOAMed Obs & Gynae out there in the blogosphere and even rarer still are #FOAM4GP. So I wanted to highlight this great resource from a GP Obstetrician and GP in Australia. Authors Dr Penny Wilson and Dr Marlene Pearce produce podcasts on Obs and Gynae topics relevant to GP and EM. Acute Menorrhagia can be severe enough to create haemodynamic instability, assess for shock first. Always wondered what actually happens when you ask for a bedside AAA rule out? Or maybe it's just a bit of revision, either way this video from EM RAP is a great quality summary of what is becoming a core EM skill. When branching out from the basics of bedside ultrasound having a standardised approach helps improve your technique and train your brain to recognise abnormalities in the images you see. There are standardised approaches developed by ITU docs for thoracic scanning but these are comprehensive assessments rather than the focused imaging designed to answer a specific clinical question. 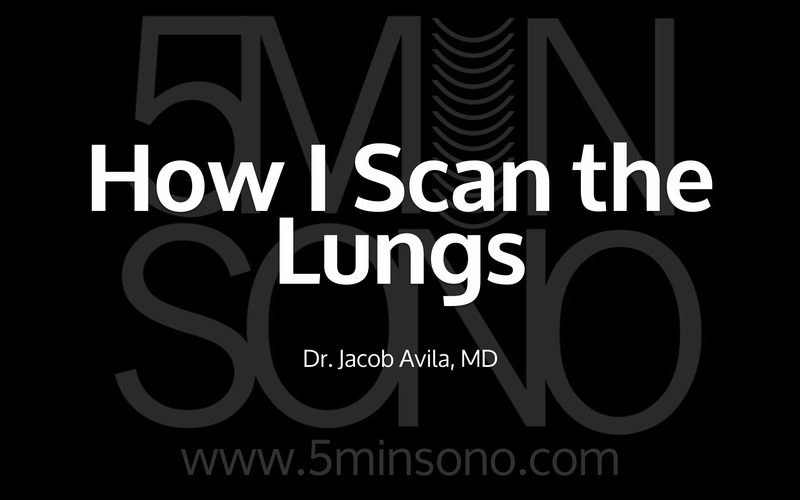 BelowJacob Avila of Ultrasound Podcast and 5minSono shares his approach for ED Thoracic US, which seems like a good place to start. Heres some other great Thoracic US videos for you to get your eye in.... then give it a try! Lets be honest; keeping up with the latest literature isn't easy. However having your ear to the floor for the latest developments in Emergency Medicine does make you realise that 'current practice' is really just a snap-shot of an ever evolving field and theres always more than one way of doing things. Check out the following websites which do the hard work for you, highlighting and reviewing recent evidence and developments in blog and podcast format. 2) The Resus Room: Monthly Podcasts and blogs on recent evidence and guidelines. Also features a very handy journal scan each month. 3) First 10 EM: Articles of the month discussed.....monthly. Blog format with a accompanying podcast on Broome Docs. 4) R&R Life in the Fast Lane: One of the original and best summaries out there. Blog. Finally if you're keen to get abstracts delivered fresh to your email and filter them yourself then read this blog from the crew at St Emlyns on how to 'Drink from the Firehose'. Got any others? Add them to the comments! The guys at The Ultrasound Podcast have a discussion about the above paper and how POCUS can help us managing the acutely ill septic patient. CRACKcast (Core Rosens And Clinical Knowledge) aims to cover basic and core knowledge for EM. 'Pain'stakingly.......going over every inch of the Rosen's EM text book. More obviously suitable for those starting in EM, however we 'never stop learning'.....In my case its more like 'never stop forgetting'....so its always good to refresh my core knowledge! Check out the website and other chapters at CanadiEM and subscribe to the podcasts. This is a great PEM induction video from the #EM3 team in the East Midlands (inc Damian Roland). Its got some great clips of clinical signs you will need to recognise in unwell children. Some of the pattern recognition we learn in adult practice doesn't quite work as well in children. Using a structured approach if it isn't immediately apparent whats going on can help you pick your way around some of the common pitfalls. They suggest the nice traffic light system in this video.